I put it in my home folder. Right click the file and choose Extract Here. That will put a folder named UrbanTerror in your home directory. Open that folder. I’m running Debian Lenny 32 bit so I will be using the ioUrbanTerror.1386 file. Right click that file. Choose Properties. Go to the Permissions tab. Put a check next to Allow executing file as program. Then close that panel. Now go back to the UrbanTerror folder in your home directory and double click ioUrbanTerror.i386 and you should be in business. Hit OK on the create launcher panel and you should be good. Double click on the Urban Terror shortcut you just made on your desktop and you should be on your way. 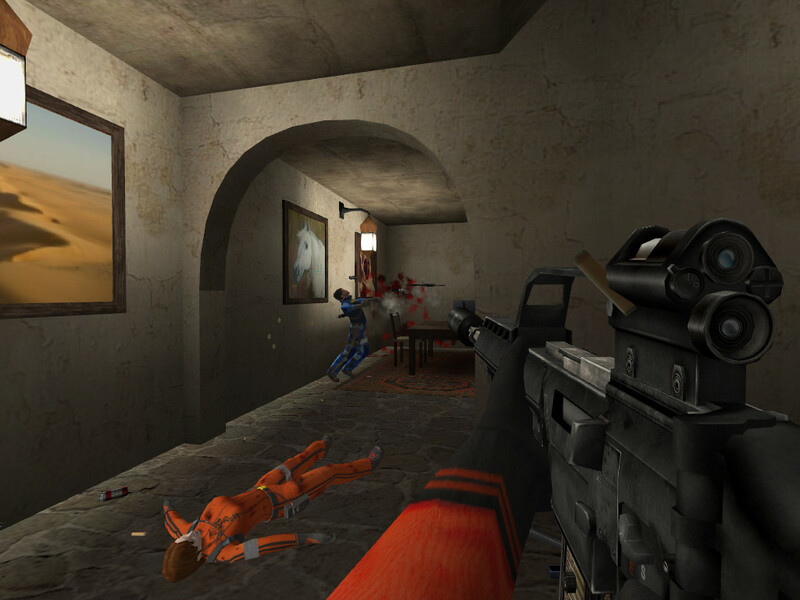 I had help from here: Review + Howto install Urban Terror on Linux , so check it out. Next I think I’ll install Wolfenstein Enemy Territory. We’ll see. 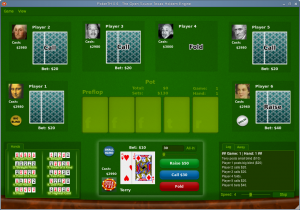 PokerTH is a Texas Holdem style poker game. I myself am not a big poker player but I do know a few people that are. I just switched my dad over to Linux Mint 6 on one of his machines. He is tired of his windows machine running like crap all of the time so I figured I’d let him try Mint for a while. Thing is that he likes quite a few games that run on windows. I’ve never been able to get wine to work very well so I’ve been looking for replacement games. One of the games is Texas Holdem Poker and I think that PokerTH will do nicely. It’s fun and runs very well.